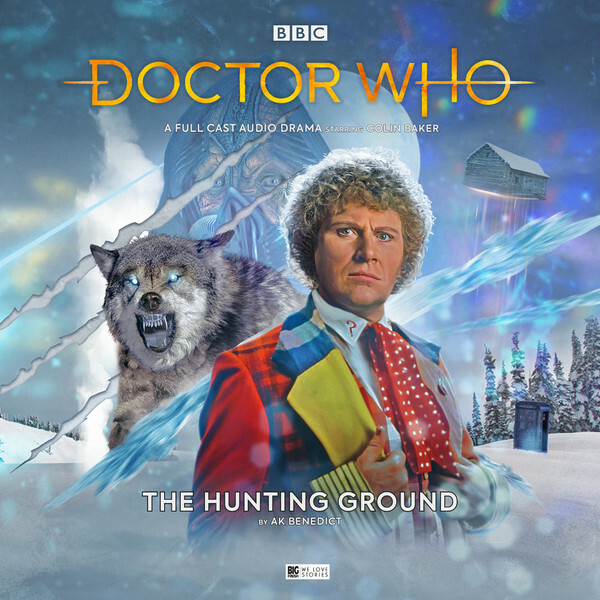 More details for the December release in the Main Range have been revealed: The Hunting Ground is a Sixth Doctor Scandi-noir story with a Doctor Who twist for our festive listening. Plus we start to look ahead to the Main Range in 2019. Out for release this December, the Sixth Doctor, Colin Baker, returns for a solo adventure, and this time he’s exploring a somewhat Scandinavian scenario, just in time for Christmas! In a terrifying tale by writer AK Benedict, The Hunting Ground is set in the present day, and particularly for fans of crime thrillers, this isn’t a story to miss. The Doctor arrives in present day Iceland, and receives a frosty reception from Inspector Yrsa Kristjansdottir when he becomes the chief suspect in a murder enquiry. But the Doctor knows that the real killer is of extraterrestrial origin. The Sixth Doctor is joined in this Scandi-noir thriller by Yrsa, played by Amy Beth Hayes, who listeners may recognise from Mr Selfridge, Shameless, or another nordic series Lilyhammer. Could she become a new companion? The Hunting Ground is available for pre-order now at £14.99 on CD or £12.99 on download. All CD purchases unlock a download option via the Big Finish app and the Big Finish website. But don’t forget, you can save money by getting a subscription to the Doctor Who Main Range. When you subscribe you'll get 30% off the price, free specially recorded Short Trips stories, PDFs of the scripts, a free release, and extended downloadable extras. You can subscribe for either 6 or 12 releases. More information here. The Main Range kicks of the new year with an exciting trilogy (or more accurately, a quadrilogy!) of tales from around series 20 and 21 of the classic television show, with the Fifth Doctor played by Peter Davison, Tegan Jovanka played by Janet Fielding and Visor Turlough played by Mark Strickson. More story details, guest stars and artwork will be coming soon, and we are very excited…!